Fulani tribe is spread all over Africa. An interesting fact is that there is no common opinion about the origin of Fulani tribe. In this article, we will tell you about existing theories on this topic, and the history of this ethnic group. 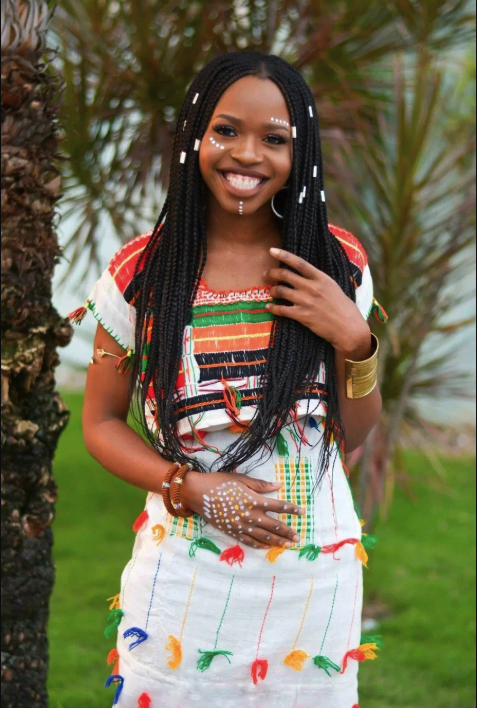 Fula or Fulani or Fulbe all these are the variation of the name that belongs to a large ethnic group that spread over many African counties, predominantly in West Africa. The list of countries where you can meet Fulani people is long: Senegal, Mauritania, Guinea,, Mali, Gambia, Nigeria, Benin, Sierra Leone, Burkina Faso, Ivory Coast, Guinea Bissau, Togo, Cameroon, Niger, Liberia, Ghana, and Sudan. Researchers can not give an unambiguous answer regarding the origin of Fulani tribe. There are several theories, it is known that as a nomadic tribe they moved through many other cultures. The 0ral histories of the tribe point to their origin in Egypt, but the language of Fulani tribe seems to originate from Senegambian region. The ethnogenesis of the tribe is a result of interactions among an ancient North African and West African people. 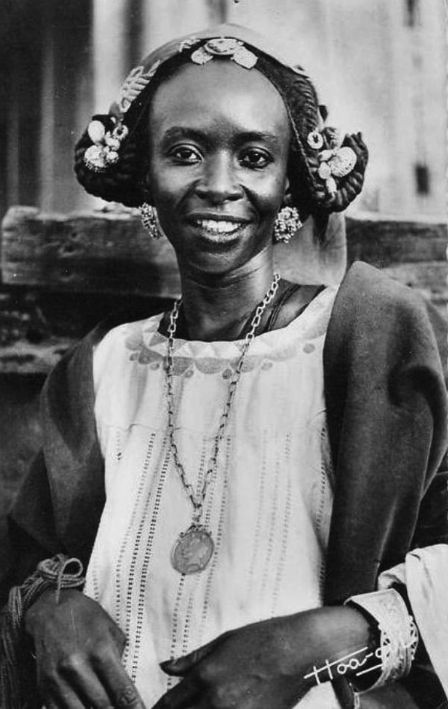 The speculations about the origin of Fulani tribe started in the era of European colonization and conquest. Tassili n’Ajjer rock art in Algeria is recognized as the earliest evidence of pre-historic Fulani culture, the pictures were dated to 6000 BCE. The researchers found the evidence of proto-Fulani culture in this area. Scholars claim that these pictures show some rituals of Fulani people, and the members of tribe still practice these rituals. A historian Amadou Hampate Ba recognized depicted scene of the ‘lotori’ ceremony at one of the walls. The researcher recognized many other cultural pieces of evidence of Fulani people tribe at the ancient wall art. 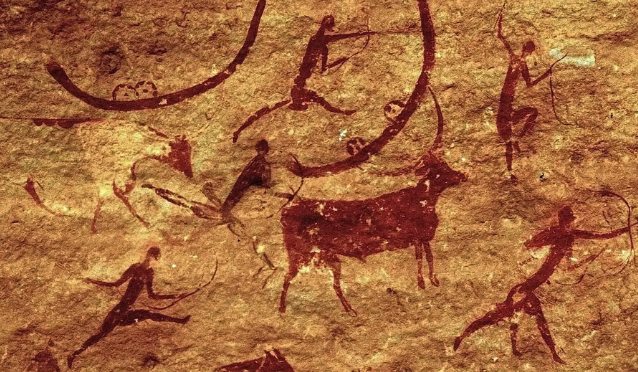 Depicted scenes of initiation with the drawings of cows, phases of the moon, and female figure were recognized as conclusive evidence of Fulani culture. The paintings on the rocks are much earlier than the time when Fulani was first noticed in Western Sahara. There is a theory of the Judaeo-Syrian origin of Fulani people, other researches provide the evidence that the tribe came from North Africa and Middle-East. In the time of 9th century, Fulani people who were migrating from the east took part in the creation of a state with the capital at Takrur. Since 16th century we can see more Fulani people who started to live in settlements as cattle-keeping farmers. In these time they were spread through the Sahel grasslands, at the territory from modern Senegal to Sudan. In these times there started a division among the Fulani. 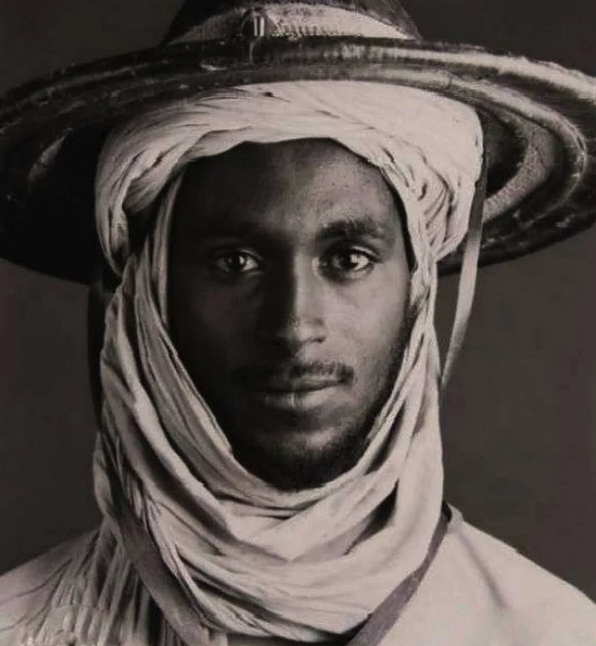 The first group was nomadic agriculturalists and the second group was the Fulani people who abandoned traditional nomadic way of life and settled in towns. Most probably it was a result of cultural interaction in Senegal where Fulani people were in connection with Toucouleur, Serer and Wolof people. Another version talks about language modification of Fulani tribe, the version claims that Fulani was Berber speaking ethical group that crossed Senegal, and adopted new language because of the influence of their new neighbors. There is fragmentary evidence of Fulani migration from the Western to Eastern Sudan. 0ral history of the tribe has the information about migration from Fuuta-Tooro, and Macina, towards the east, the stories tell about the time between 11th and 14th centuries. In the time of 15th century, we can see a steady flow of Fulani migration into Hausaland and Bornu. By the time of 18th century, Fulani settlements were situated all over the Benue River valley. They were spreaded among such regions as Garoua and Rey Bouba, Faro River, Mambilla Plateau and Gurin, Chamba, Chenoa, Turua and Bundang. Fulani people who have Arabic and North African roots adopted Islam earlier then Fulani of other regions. New religion accelerated the process of transition to a settled way of life. Fula empire has become the dominating kingdom of West Africa in the times of 1500s. Over the time the empire developed into many emirates with the center in Senegal River Valley. It should be said that Fulani and Hausa people influenced each other’s cultures for a long time. There is even a term Hausa–Fulani people. In the time of Fulani War (1804), these tribes were intertwined within Nigeria. This is the time of beginning the history of Fulani tribe in Nigeria. Today Hausa and Fulani account about 29% of Nigeria’s population. 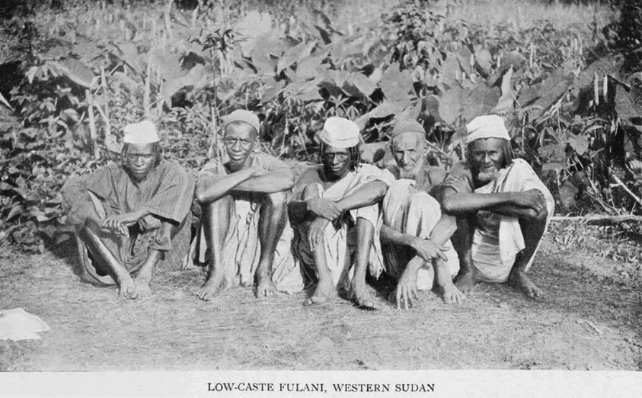 Fulani people have the caste system that is typical for West African region. They have four major castes, but the caste system is not so elaborate in such areas as northern Nigeria, Cameroon or Eastern Niger. The tribe retained its culture and traditions to this day. Despite the interaction with many other tribes, Fulani has distinct features that distinguish them from the rest of the ethnic groups. They have their own language, that is called Pulaar. They have their own attire, houses, food and behavior traditions. The origin of Fulani tribe according to Genomic studies: A study by Cruciani et al. In 2002 showed that 90% of Fulani people from Burkina Faso have the haplotype that is common in West Africa. A minority of Fulani people have the West Eurasian haplogroups. Such a result brings more clarity to the issue of the origin of the tribe, but researchers continue to study this topic. 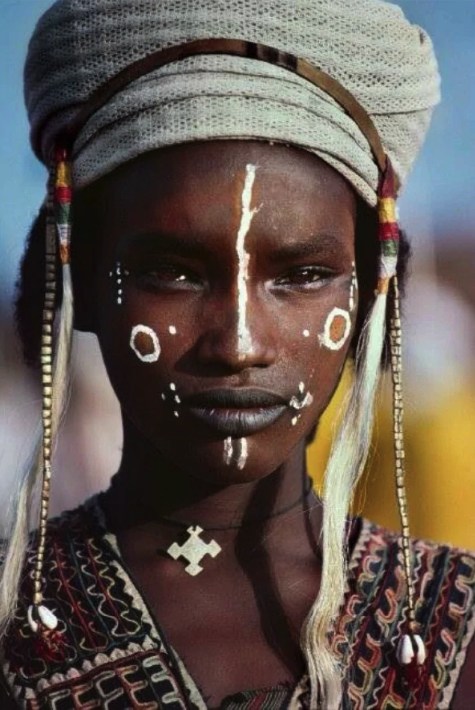 0 Response to "History of Fulani tribe: Interesting Facts to Know"